Are you looking for an "orthotic clinic near me"? Welcome to Vancouver Orthotics! My name is Aislyn, and I'm the weekend office manager of Vancouver Orthotics. It is so common for patients to google "orthotic clinic near me" that I decided to dedicate today's blog entry to "orthotic clinic near me". We are located in the Hycroft Medical Building at Granville and 16th in Vancouver. Dr. Michael Horowitz offers consultation, diagnonsis, prescription, and dispensing of custom made orthotic inserts. We are indeed an "orthic clinic near you". 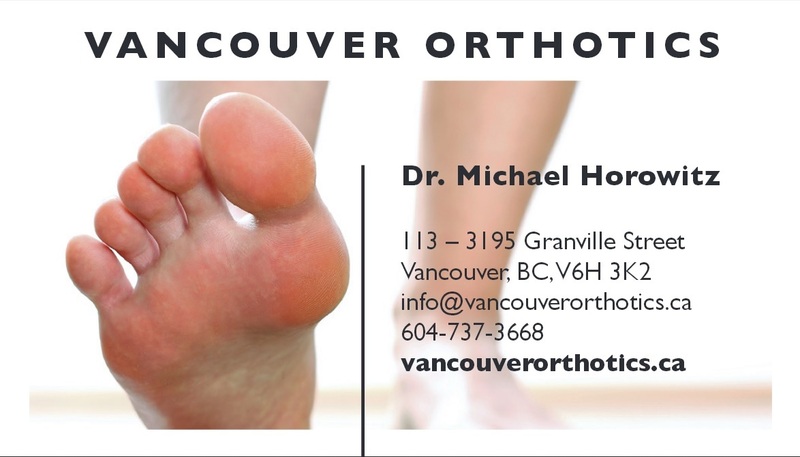 Please call us at (604)-737-3668, or email us at info@vancouverorthotics.ca. Please fill out the form below to learn about an "orthotic clinic near me".